Today more than ever, the correlation between image and political platform is important. Perhaps you’ve already figured out that your own political campaign needs as much branding as any corporation does. Lately, it has even been a hot news topic on a national political level. When Hillary Clinton hired a top branding firm earlier this year to bring a visual branding appeal to her presidential campaign, the result was initially positive, though it has also met its fair share of criticism. Of course, printing ideas for political campaigns go far beyond the use of logos. Graphic design is an important element. With our printing expertise, we’re here to work closely with you to find the heart and soul of your campaign platform. We’ll find the right products to use and help you tailor your graphic-design ideas to make your campaign materials as attractive as possible. With our top-tier printing techniques, you’re also guaranteed the best quality in the industry for durability and readability. Take a look at some of the best and most popular products we offer, and what kinds of designs we can place on each for either outdoor or indoor use. When you think of graphic design for political campaigns, you probably think of buttons and bumper stickers. Those are still effective when they’re professionally printed. Yet, it’s easy to get slipshod on printing things like bumper stickers, particularly when you cut corners and make them yourself. Despite Photoshop being accessible, you can’t make something look professional without true expertise and the right digital printing equipment. We can easily print high-quality buttons and bumper stickers. Despite the small area on each, we can expertly guide you as to what designs are most appropriate and will fill the space while not cluttering. This includes your own logo, a motto, or your picture, name, and concise political statement. 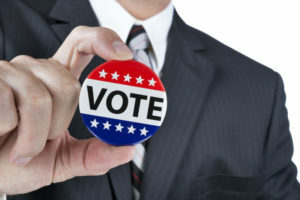 Don’t forget that Don’t forget that yard signs are still a mainstay of political marketing—and for good reason. They’re effective and durable. Our signs come with a corrugated structure and options for one or two-sided printing. They also come in numerous customized sizes so you can choose the right dimensions for your political message. 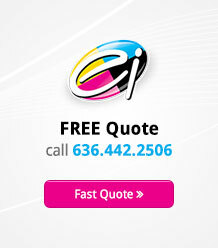 No matter the size, we’ll help you find the right graphics and imagery to stand out. You want your political signs easily seen from passing cars or foot traffic, and for viewers to be able to quickly recognize your name and political title.